When Star Wars debuted in 1977, it became a cultural phenomenon that spawned lines of clothing, toys…and even lunchboxes. But it also gave birth to a new form of burlesque – something called “Nerdlesque” – as a dancer named Pillow incorporated aspects of the movie into her act. Pillow is credited as being the “Mother of Nerdlesque,” says Persé Fanny, a New Orleans-based burlesque performer and historian. Nerdlesque is exactly what it sounds like, Fanny says. 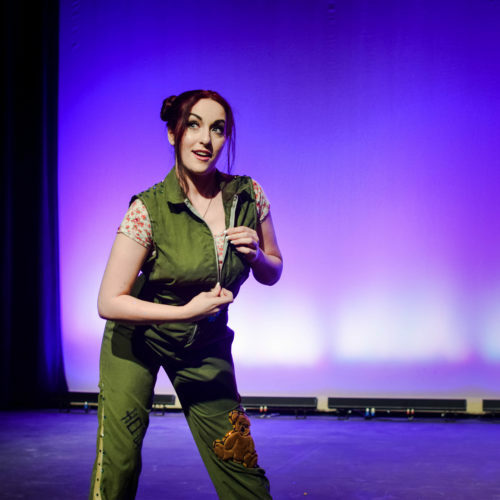 “It’s nerdy burlesque…a parody of our pop culture, specifically nerdy pop culture, so you will get everything from comic book nerds to video game nerds,” as well has a lot of themes involving heroes and villains. Nerdlesque will be on full display this weekend at the Contemporary Arts Center and the Allways Lounge for the 4thAnnual Nola Nerdlesque. 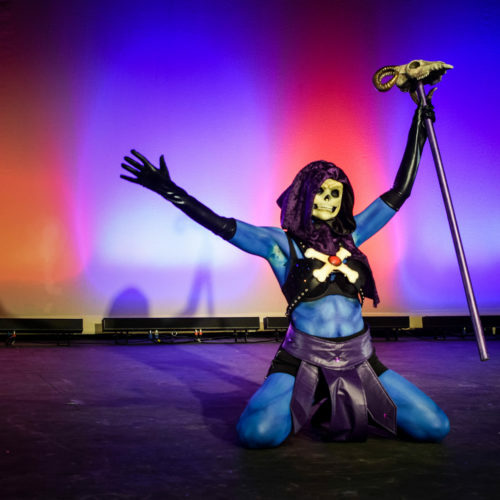 Over 40 performers from around the country will perform four shows over two nights, kicking off Friday at the Contemporary Arts Center (900 Camp Street) with “Stripped Crusaders” at 8:00 PM, and at 10:30 PM is “Tease from the Crypt,” filled with movie monsters and murderers. Saturday’s shows take place at the Allways Lounge and Theatre (2240 St Claude Ave, in the newly renamed Twilight Room, the venue’s 120-seat theatre) with “Cyburlesque” at 8:00PM, a robotic, laser powered, sci-fi show. And closing the festival at 10:00 PM is “Just Drawn That Way,” a revue of animated and video game characters. Along with the shows, Nerdlesque will feature an art market and cocktails to kick things off, as well as workshops – including a history of burlesque taught by Persé Fanny, and a floor-work workshop, all held at the New Orleans School of Burlesque. General admission tickets for Nerlesque shows are $15. Admission is restricted to patrons 18 and older. Tickets and details are available at www.nolanerdlesque.com and will be available day of at the venues.